Composer, Arranger and Jazz Pianist Dan Cahn completed both his Masters Degree in Jazz Performance and Doctorate in Music Education at the University of North Texas. 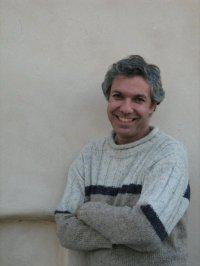 Dan serves as musical director and jazz pianist of the Open University Jazz Concert Series. The series that started in 2011 has hosted some of Israels most noted jazz artists*. Dan has performed both as a soloist and as pianist with several jazz groups. These have included apart from his quartet and trio, the Jazz group “Blue Skylight Quintet” a group dedicated to the performance of compositions by Charles Mingus, as well as the Haifa Big Band. During the year Dan produces and participates in concerts dedicated to various jazz artists. Dan’s debut recording as leader was on the CD "FIGMENT" recorded in 1997 with his quartet which included saxophonist Dror Bar Israel, the late bassist Udi Kazimirski and drummer Gideon Paschov. As part of his academic activities Dan wrote a jazz history book in Hebrew titled "The History of Jazz in the 20th century" (2017)** which is published by the Open University where he teaches and coordinates the jazz history course. As part of the launching celebration of the book Dan organized the first Jazz convention in Israel (2018) that addressed issues related to aspects of Jazz history and Jazz in Israel. Dan is also an adjunct faculty member at the Department of Humanities and Arts, Technion Institute where apart from jazz history, he teaches courses in world music, psychology of music and jazz improvisation. Dan also teaches courses at the Department of Music, Haifa University. As part of his educational activities Dan teaches jazz improvisation and directs a jazz ensemble at Reut high school in Haifa and teaches jazz history and directs a jazz ensemble at the Moshava high school in Zichron Yaakov. * Israeli Jazz artists that have been hosted at the Open University Jazz concert series have included: Albert Beger, Gasper Bertoncelj, Dror Bar Israel, Erez Bar Noy, Vered Dekel, Gilad Dobrecky, Amit Friedman, Assaf Hakimi, Jonathan Kozlovsky, Chen Levi, Gideon Paschov, Albert Piamenta, Salit Lahav, Mamelo Gaitanopoulos, Ofer Ganor, Rony Holan, Mattan Klein, Gil Ladin, Ilan Salem, Rami Shuler, Peter Wertheimer and Shay Zalman.